Here is one of the first non-house crafty posts! With the butternut squash we grew in our backyard, I made butternut squash soup. I found a recipe from chow.com and made some modifications. Naturally even though I have a cabinet full of cookbooks I found it online. Here's the original recipe. Place the squash pieces cut-side up on the baking sheet. Rub 1 tablespoon of the butter all over the tops and insides of the squash halves. Season generously with salt and pepper. Roast until knife tender, about an hour. Meanwhile, peel, core, and cut the apples into medium dice. Cut the onion into medium dice. Melt the remaining 2 tablespoons of butter in a large saucepan or Dutch oven over low heat. Add the apple &, onion and cook, stirring occasionally, until caramelized, about 45 minutes. Take off the heat until you're ready to add the squash. When the squash is ready, set the baking sheet on a wire rack until the squash is cool enough to handle or just wear an oven mitt while holding the squash. Using a large spoon, scoop the flesh into the saucepan with the sautéed apples and onions; discard the skins. Add the broth, milk, sage, and measured salt and pepper, stir to combine, and bring to a boil over medium-high heat. Reduce the heat to medium low and simmer, stirring occasionally and breaking up any large pieces of squash with a potato masher, until the flavors meld, about 15 minutes. Using an immersion blender, purée the soup until smooth. Alternatively, use a blender and purée the soup in batches until smooth, removing the small cap (the pour lid) from the blender lid and covering the space with a kitchen towel (this allows steam to escape and prevents the blender lid from popping off). Taste and season with salt and pepper as needed. And here's the step by step because I love when food bloggers do this. 5. Get it in a soup pot on low with butter and let it all caramelize. (There's no light by my oven so any pictures over there are awful and I apologize.) I added way too much sage by accident and I shouldn't have added it at this stage. Oopsies! 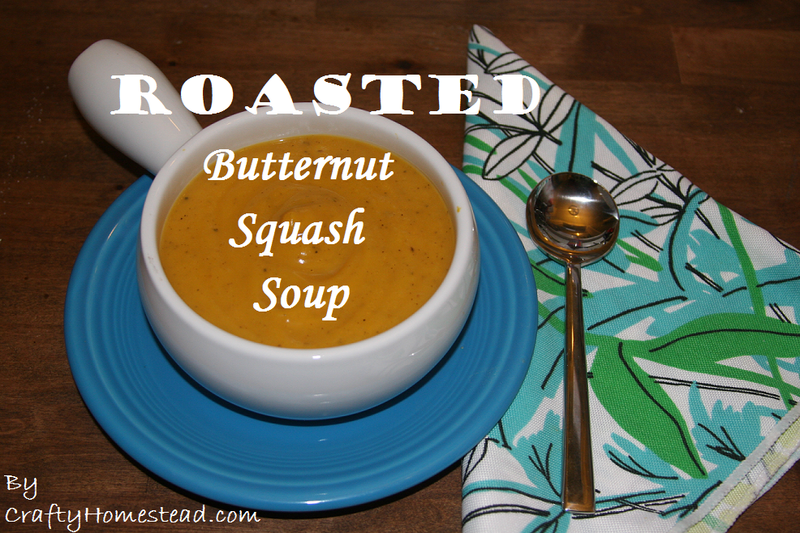 If you are making the soup while the squash roasts then let this all caramelize. If you've done the squash ahead of time and are in a hurry, just sautee it for 10 minutes. I roast and caramelize whenever possible because THE FLAVOR. I just love my Le Creuset dutch oven! I registered for a Lodge one, but my aunt went above and beyond! 6. I prefer to make my broth from a veggie concentrate from Penzeys Spices. This way it's harder to run out of broth in my pantry and I don't have small amounts leftover in my fridge. I make exactly what I want, plus it's a delicious broth concentrate. That's just water in the measuring cup btw, I took this pic before putting in the concentrate. 8. Last time I made this soup I roasted the squash hours before I was going to start the soup so that it'd be cool enough to handle with my bare hands come dinner making time. This time I did not have that kind of time, so I used an oven mitt. It got messy, so if you have the time I recommend roasting the squash earlier in the day or the night before. 10. Add in your broth and milk. It'll get prettier, I promise. Mash those big pieces with a potato masher to make the blending part go faster. 11. Get out your immersion blender. If you're like me you'll need an extension cord to reach your stove (sigh). Or use a blender and do it all in batches and add an immersion blender to your holiday gift list. They serve only one purpose, but they make a life of making soup so much easier. I should never read a post like this while I am hungry for some tasty food. Looks delicious, and what a chef you are. You did not even use the microwave to cook the squashes -- my easy way of late. You can send any leftovers to my place, no one is making soup here! I have a bunch of servings in the freezere and can definitely send some your way!